Hello to my vintage lovin’ friends! 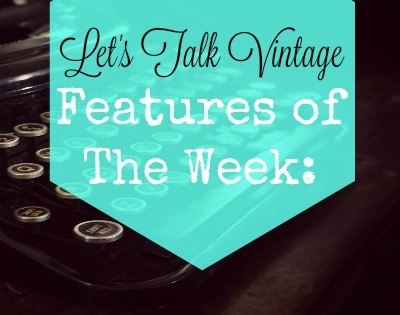 Today is Tuesday which means it is time for Let’s Talk Vintage! vintage projects, latest finds, or collections. 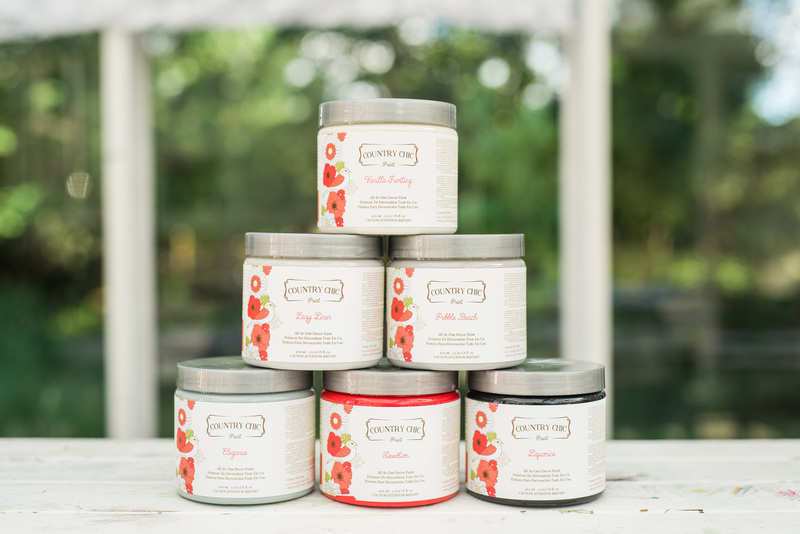 Today I’m sharing a few of our latest pieces that have arrived into the shop. 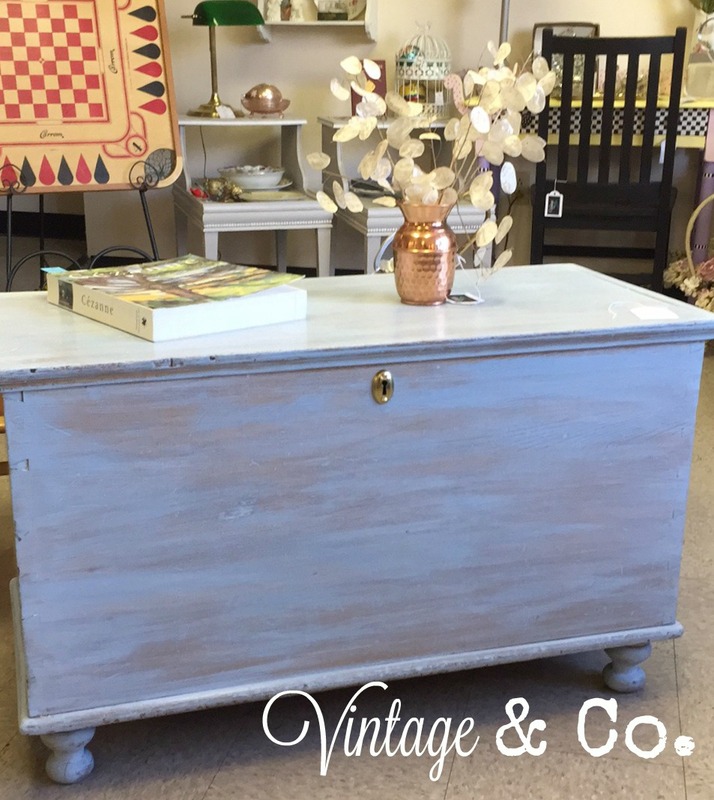 We love this vintage blanket chest and the robin’s egg blue is the perfect choice! rubbed in areas to reveal the light colored wood. Then, it was sanded very lightly, waxed and buffed. You’ll feel warm and fuzzy every time you open it to pull out your blankets! Makes a great side or coffee table too. would also be perfect for painting words, creating picture frames, etc. saying or write your house number on it! Now, let’s see who is featured this week from last week’s link up. and see what others are working on. I always get inspired! 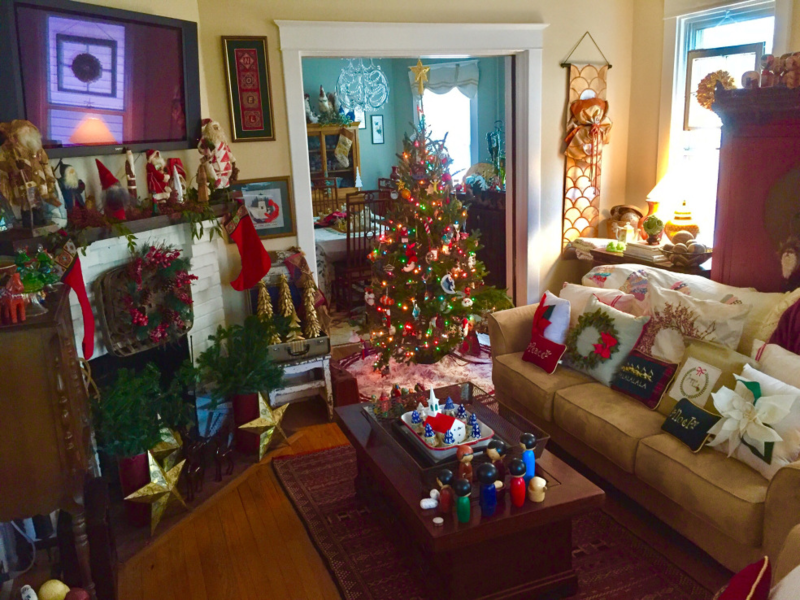 home for Christmas at Debby’s place! 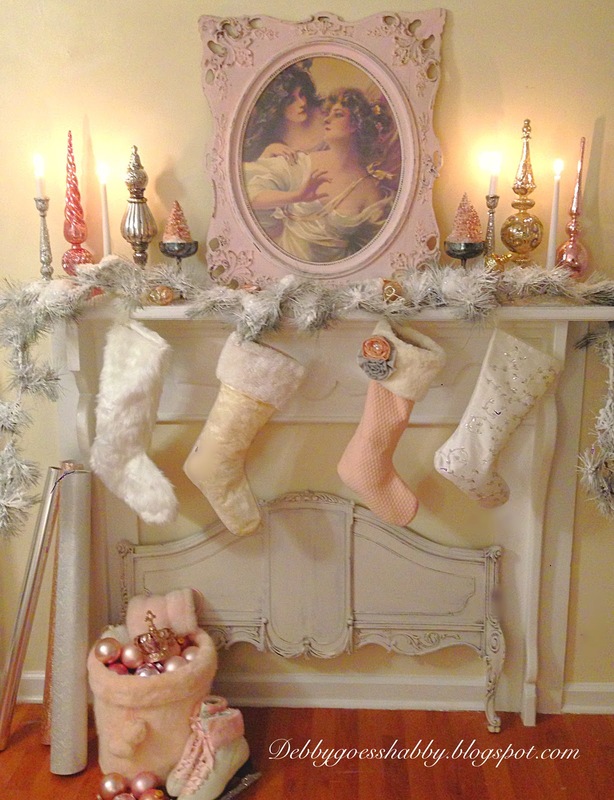 the magic of Christmas in her home. added to her living space! this graphic to your blog post or side bar! Jill, thank you for hosting us. Your shop treasures continue to be great ones. I love the blanket chest the most, but the window and sled are certain to be winners too. All the links except the first one seem to be working. We’re winding down the busiest times many of us have had all year, so I hope you’re able to take time and enjoy it too. Merry Christmas and Happy New Year! I fashioned my vintage bar cart at home for both holidays! 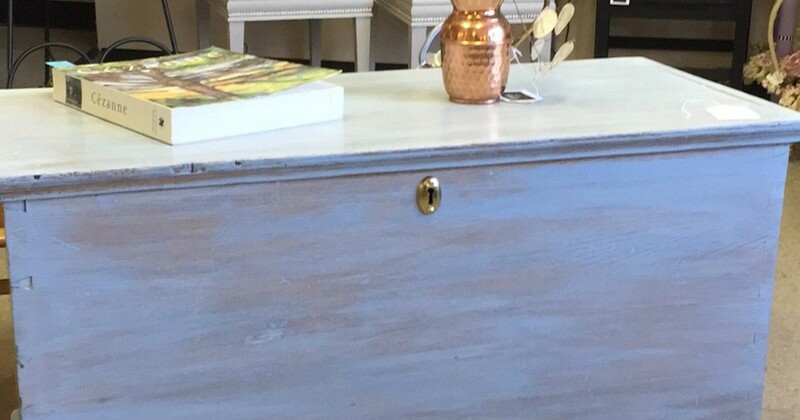 The blanket chest is gorgeous! Hope the season is not too busy for you and is filled with many blessings. Thank you for hosting. Thank you so much, Janice! Merry Christmas to you as well! Thank you so much, Diana! I hope sales are going well for you, too. 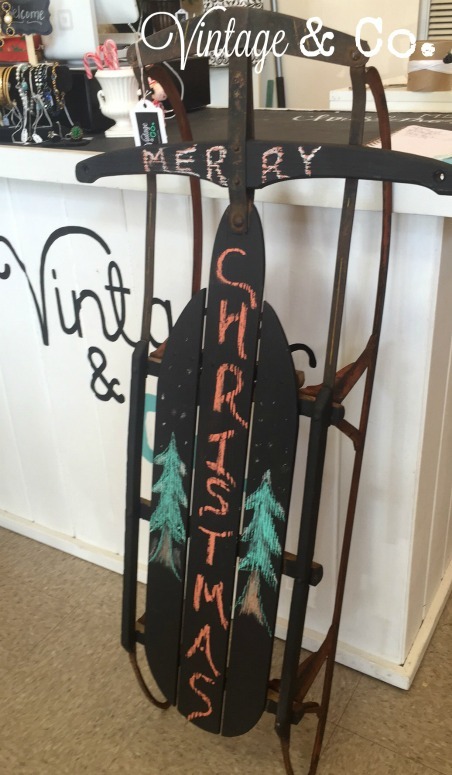 We are excited to be open during this festive season! You’re welcome, Debbie! Thank YOU for always being so supportive and for your wonderful posts. Thanks so much, Rita! I fixed the link with Debby’s feature. And I managed to get pictures uploaded this morning! LOL. Thank you for being so supportive in the bloggy world… much appreciated! Hope you sales do well in your booths! 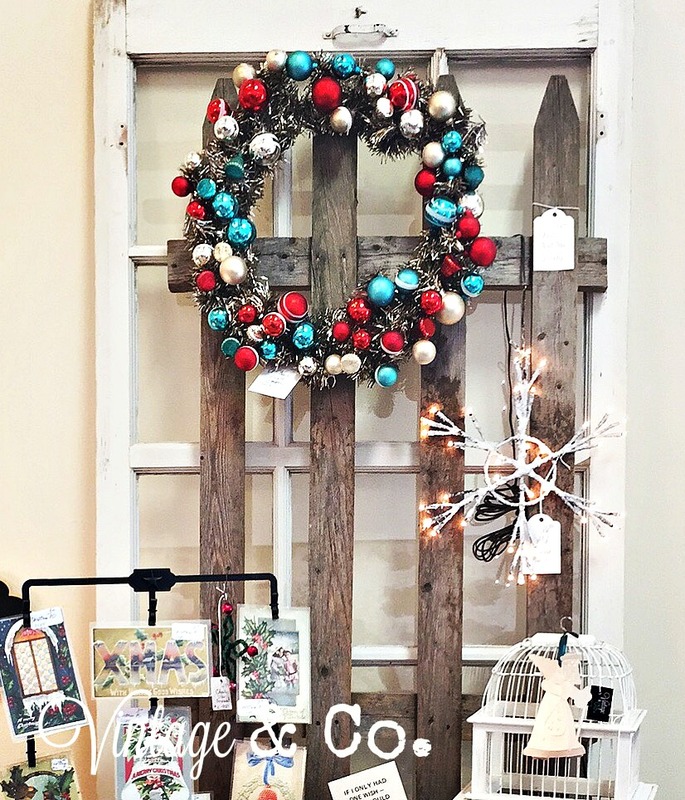 It’s always a pleasure to visit here and see all your beautiful vintage finds! 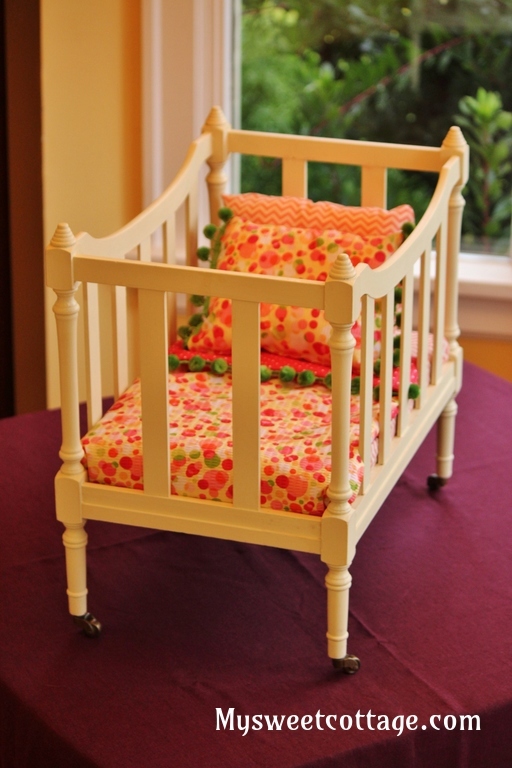 Thanks for hosting another lovely party – and for featuring my doll bed! Happy holidays! ← Let’s Talk Vintage #112: PA Dutch Dollhouse Furniture and a Customer Reveal!